The pace of population growth in Melbourne is a significant theme in the 2018 Victorian election campaign, with the major parties promising various policies to ease pressure on services, reduce traffic congestion and radically increase public transport capacity. 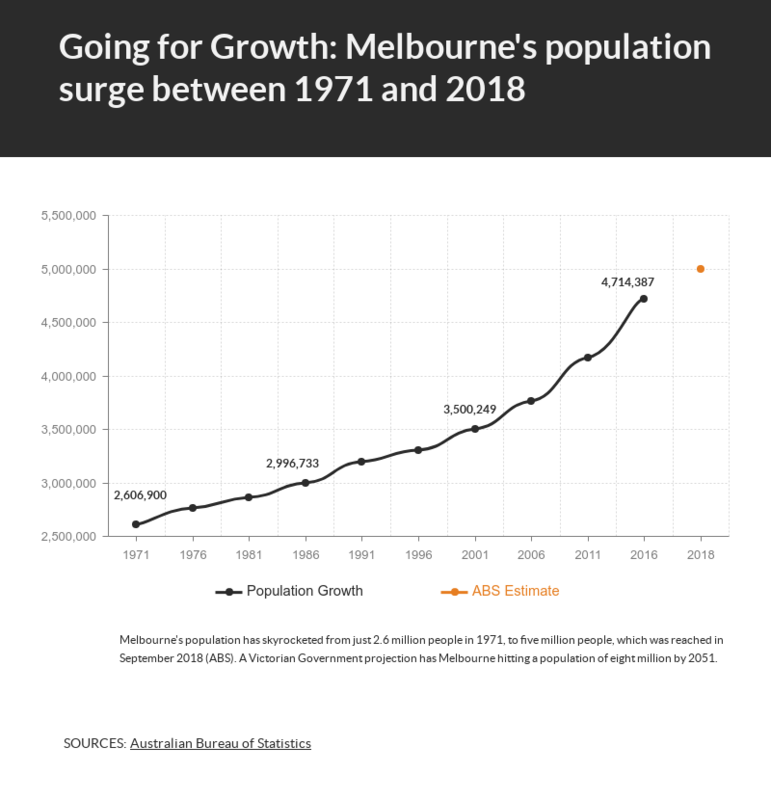 Data from the Australian Bureau of Statistics (ABS) shows that Melbourne's population has boomed since 2006, which was the first year that annual growth reached over 100,000. Since then, Melbourne's population has continued to soar by at least 100,000 every year. In August 2018, the ABS estimated that Melbourne's population had reached five million. Melbourne has been named the world's Most Livable City for seven consecutive years by The Economist. But the Coalition leader Matthew Guy says the city's population growth is unplanned and unmanaged and is "killing" Melbourne's liveability.